Castleman disease is not cancer. But it can affect your body in a similar way -- cells in and around your lymph nodes grow too much and too fast. So some treatments that stop that process in certain kinds of cancer can help people with Castleman disease, too. Unicentric (localized) disease: Lymph nodes in just one part of the body are affected. Multicentric (widespread) disease: Lymph nodes throughout the body are affected. Usually, surgery can cure this type of Castleman disease. A surgeon removes the enlarged lymph node or nodes. Corticosteroids, powerful drugs that reduce inflammation. An immunotherapy drug called rituximab (Rituxan). It latches onto a specific protein on the surface of some lymph cells, causing them to die. 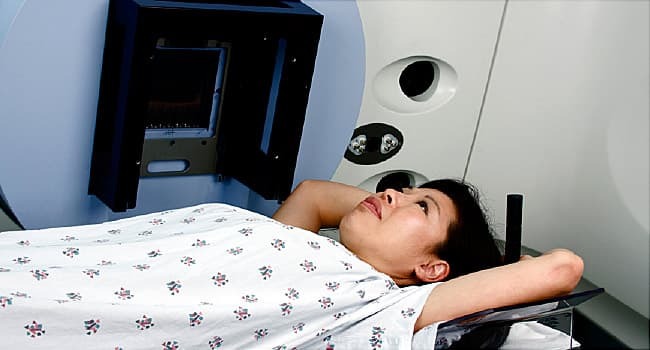 If your surgeon can’t remove every diseased area, you may need radiation therapy to treat any cells that are left behind. Multicentric Castleman disease (MCD) affects lymph nodes in several parts of the body. The disease can make your immune system weak, which makes you more likely to get dangerous infections. So it’s important to get treated right away if you are diagnosed with it. MCD affects everyone differently. A treatment that works for one person doesn’t always work for another. After your doctor knows your symptoms, personal preferences, and health history, he’ll recommend a treatment plan specific to you and your disease. Other health conditions you have, especially HIV and infection with the HHV-8 virus, also affect the treatment you need. So your doctor will also test you for those viruses. Immunotherapy. Your doctor may also call this targeted therapy. The medicines directly target specific substances on lymph cells and stop them from working or destroy them. Rituxan is one of these drugs. Siltuximab (Sylvant), the first drug for people with MCD without HIV or HHV-8 infection, is another. Some doctors also use the immunotherapy drug tocilizumab (Actemra) to treat Castleman disease. It’s approved in the U.S. to treat rheumatoid arthritis, but scientists are also studying how well it works for MCD. Interferon-alfa is a hormone-like protein made by white blood cells in the body to help the immune system fight infections. Some patients with Castleman disease have improved with man-made interferon. Chemotherapy. Doctors have long used chemotherapy to treat people with lymph node cancer. They’ve found it also helps people with very severe MCD by slowing or stopping the growth of abnormal cells. But the disease usually comes back after chemo is finished. Plus, this therapy can cause severe side effects. So doctors prescribe it less often now that there is immunotherapy. Corticosteroids. These drugs fight inflammation throughout the body and may help when symptoms flare. Drugs that turn down the immune system, called immunomodulating drugs. Drugs such as thalidomide (Thalomid) and lenalidomide (Revlimid) are used to treat certain cancers of immune cells, but they have also helped some people with Castleman disease. Some doctors use a drug called cyclosporine to slow down the growth and activity of immune cells called T cells. Antiviral drugs. If you have HIV or HHV-8 infection, these medicines can fight those viruses. They include zidovudine, ganciclovir, and valganciclovir. Autologous stem cell transplantation. A bone marrow transplant can help people with very severe multicentric Castleman disease that doesn’t get better with other treatments. It can also help those who have a related disorder called POEMS syndrome. You’ll need high-dose chemotherapy before the procedure. This treatment is risky and expensive. You’ll need to discuss all the details with your doctor before you decide to go with this option. All medications can cause side effects. But some drugs for Castleman disease that work on the immune system can be especially risky for some people. Before you decide on any treatment, make sure your doctor knows about your health history -- especially with bacteria and viruses such as tuberculosis, HIV, or hepatitis. Rituximab can reactivate these germs in the body. Also, tell your doctor if you are pregnant or want to be at some point. Two Castleman disease drugs, lenalidomide and thalidomide, have been linked to serious birth defects. Your doctor will do blood tests to check for signs of infection or pregnancy. If the treatments you try don’t work, consider asking your doctor if there are any clinical trials for Castleman disease that might be right for you. Doctors and scientists use these research studies to learn more about the causes and treatments of this rare disorder. They’re also a way for patients to try newer treatments before they’re available to the public. Clinicaltrials.gov provides a list of research studies that may be accepting new participants with Castleman disease.